Have You Considered Bamboo Fence Installation For Your Home? If you are looking for a new fence for your home, it may be difficult to know where to start. There are plenty of residential fences to choose from, in a variety of materials. Traditionally, many homeowners opt for wooden fencing, since it provides privacy, protection, and affordability. If you’re looking for a green alternative to traditional wood fences, however, you may be interested in our professional bamboo fence installation in Crowley and Fort Worth, TX and the surrounding areas! 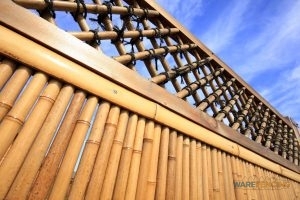 Why Choose A Bamboo Fence? With all of the wood fencing options available, you may be wondering which is best for your home. For our more environmentally concerned clients that are interested in wood options, we have begun offering bamboo fence installation services. Bamboo fences come with a variety of fantastic benefits, which make them a great choice for your home. From the first glance, a bamboo fence stands out as unique and stylish. However, did you know that bamboo is both stronger and harder than most traditional woods? Due to the high amount of silica naturally produced by bamboo, termites are unable to digest it, which makes it naturally resistant to insect infestations. Furthermore, due to how quickly bamboo can be grown and harvested in comparison to traditional woods, bamboo fences are less expensive, as well as more sustainable. 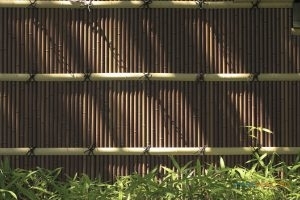 A properly installed bamboo fence is resistant to rot and can last up to 20 years. As professionals in fence installation, fence repair, and fence replacement of all kinds, we are highly skilled in our field. When you choose a bamboo fence, you can only expect to enjoy these benefits if you purchase your fence from a reputable supplier. At Ware Fencing, we use only the highest quality of materials, and the best installation methods according to industry standards. Our experts are glad to work with you from start to finish, and we will make sure you get the ideal fence for your home. Give our experts a call today at 817-948-4503 to get your estimate for a bamboo fence installation in Crowley and Fort Worth, TX. We are committed to providing top notch results, and outstanding customer service. We look forward to serving you! Updated on September 20, 2018 at 8:52 am by Ware Fencing.